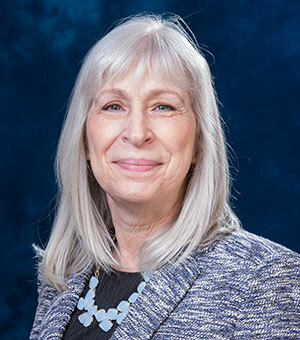 Amy Haddad, PhD, RN, professor emerita in the School of Pharmacy and Health Professions has been elected a Hastings Center Fellows. The Hastings Center Fellows are a group of individuals of outstanding accomplishment whose work has informed scholarship and/or public understanding of complex ethical issues in health, health care, life sciences research, and the environment. Haddad is the immediate past president of the American Society of Bioethics and Humanities. 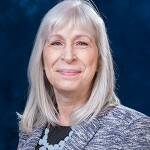 Her publications include Health Professional and Patient Interaction (2018, with Drs. Ruth Purtilo and Regina Doherty), Case Studies in Pharmacy Ethics (2017, with Drs. Robert Veatch and E. J. Last), and Case Studies in Biomedical Ethics— Decision- Making, Principles, and Cases (2015, with Drs. Robert Veatch and Dan English) and many book chapters and peer-reviewed articles on topics such as teaching and learning in health care ethics, professionalism, high-tech home care, and clinical ethics. Her poetry and short stories have appeared in the American Journal of Nursing, the Journal of Medical Humanities, and the Annals of Internal Medicine, among other publications. The Hastings Center, a nonpartisan, nonprofit bioethics research institution founded in 1969, addresses fundamental ethical and social issues in health care, science, and technology. Learn more about The Hastings Center at www.thehastingscenter.org.